Sony has been in the field with 007 before as Sony Ericsson, with gadgetry featured in previous missions Die Another Day, Casino Royale and Quantum of Solace. Sony Ericsson first partnered with Bond for Die Another Day starring Pierce Brosnan in 2002, using both the T68i and P800 in the film. Sony Ericsson phones have since featured in all Bond films, with the K800i and M600i making their debuts in Casino Royale, and the C902 bringing limited edition glamour to Quantum of Solace. Click here for an overview of all Sony products in those movies. Xperia T will be part of a new range of smartphones available upon the film’s release later this year. More details on the phone will be released over the next few weeks. Hello. 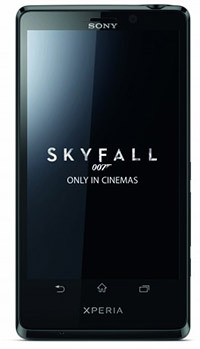 Can you know please where in the world I can buy a sim free SOny Xperia T James Bond phone ? ?